It is possible to book the double suite for couple massages. It is possible to get subscriptions. Reservation is required in order to guarantee the best efficiency from the treatment. you to do it at least 3 hours ahead the scheduled time. In order to maintain a quiet and peaceful environment, we advise you not to talk loudly. Baan Sabai will provide massage robes (t-shirts and trousers) in case they are required for the treatment. Keep your mobile phone off during the treatment. Smoking indoors at Baan Sabai is strictly forbidden. Should you have any physical problem, please inform our personnel about it. A massage is a moment of well-being and pleasantness, and it must be received in a cozy and warm environment, according to one’s own personal rhythms, so as to draw the highest benefits from it. The treatment can be received by a single or by a couple and, if performed by expert hands, with passion and dedication, it can regenerate the whole body (and mind), providing an immediate feeling of relaxation, positivity and serenity. This is the idea behind the NO EXPIRY VOUCHERS that Baan Sabai Thai massage center in Rome has dedicated to its customers. 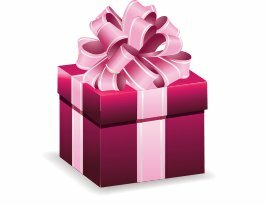 We are talking of gift vouchers available at our center, that allow customers to experience our treatments anytime they like, WITHOUT TIME OBLIGATIONS OR DEADLINES, like it often occurs in other cases. Enjoy your massage according to your actual needs, listening to what your body is telling you and get ready to be pampered by our personnel. We are waiting for you.